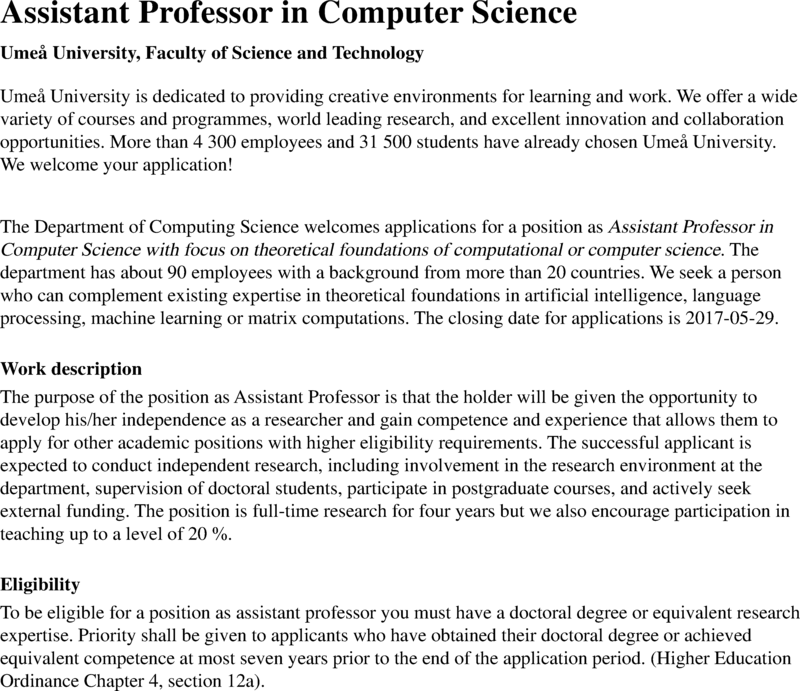 Clearly, this candidate is not specialized in theoretical computer science: he had used computers to implement his new (?) algorithms on matrix computation. Frankly, it is very difficult to me to see how matrix computations will enable us to better understand the nature of computation. Second, one cannot compare the number of citations for work that is done in different areas! It is simply absurd! My understanding is that the department wanted to hire this particular person and so they found a way to make him appear as the best candidate. In plain English again, this is the textbook example of favoritism! All these years the people of the North accused the people of the South for corruption, favouritism, nepotism, etc. This simple example shows that Northern countries are as corrupt as the Southern countries. The only difference is that Swedes and others have mastered the art of making favouritism, nepotism, etc., look as the most reasonable choice.